One of the most eye-catching cell carrier deals of recent times is spreading. 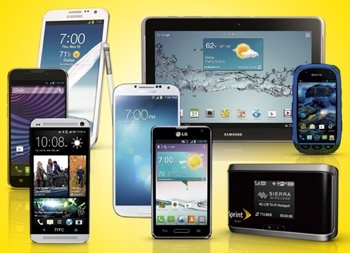 Sprint announced today that it will pay the early termination fees (ETFs) of anyone who switches to a new Framily plan on its network, up to $650 – matching T-Mobile’s identical offer from a couple months back. My husband needed a new phone, so we did some research and saw that Sprint was offering to pay ETFs if you switch over to them. We decided to switch to them since it was a no-brainer (or so we thought). We were told by the salesperson, at the Sprint store, that they would pay the ETFs up to $350 per line. When we rec’d our last Verizon bill we submitted the rebate in January. When we checked on February 6th it was shown “denied”. My husband went to the store, where the same salesperson told us he didn’t know why we would be denied, that everything looked right. So, he submitted another claim for us. On February 20th my husband checked the status online and the rebate claim wasn’t showing at all. So, he called customer service and was told that it was approved and we were “good to go”, and would be receiving our VISA card within 12 weeks of the 6th of February. I check the status today and see that the claim is denied, yet again. I called customer service and was told that we need the $60 per month plan, not the $40 per month plan that we have, in order to be eligible for the ETF payoff. I expressed my displeasure rather vocally, and spoke with a supervisor, who again went on to tell me that my plan didn’t qualify. I told him that I didn’t want to hear that, that I want them to be an upstanding company and honor the agreement I made with their employee, regardless of whether that employee gave me inaccurate information. That is basic good customer service if you ask me. He “David” kept giving me the runaround and wouldn’t budge, so I asked to speak to someone above him. Lo and behold, he can’t connect me to that person but he can give them my number to call me within 72 hours. I asked him who I would call and talk to when I don’t get a return call in 72 hours time. He said he didn’t have anyone’s phone number or extension to give me. I told him I worked in customer service and know that is a bunch of ****, and is just a line you give to get someone off of the phone. I will continue to call them, because I do not anticipate getting a return call, and I will file a complaint with the BBB. It is ridiculous that a company do something like this. I told him they were in breach of contract by falsifying information, but I’m sure if I tried to “break” the contract because of it, they would charge me ETFs as well. Crooks, all of them. I wish I would have never switched to them and I will tell every single living soul I know not to do business with Sprint.